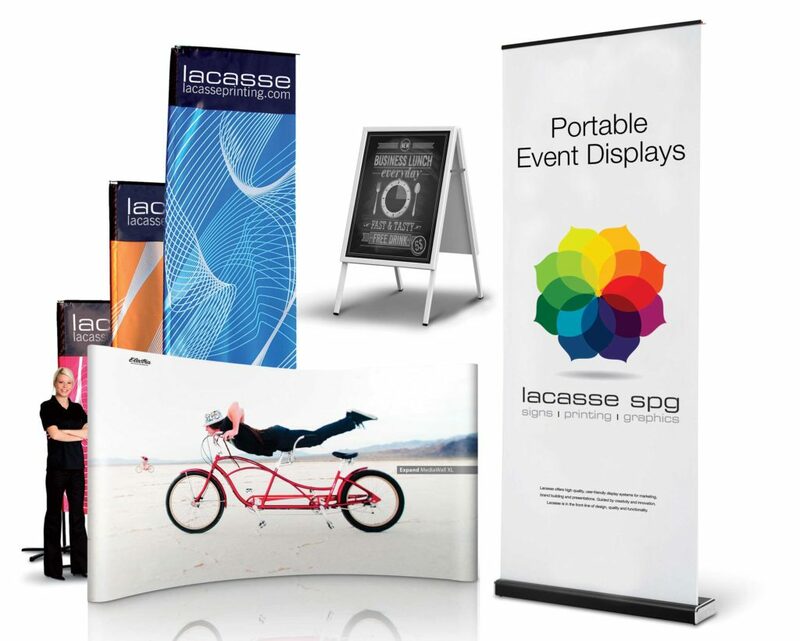 SERVICES - We Print Everything. We Print for Everyone. On Your Next Sign, Print, or Marketing Project. 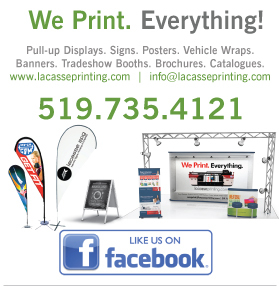 Lacasse Printing – Your Source for Signs. Printing. Graphics. Custom Flags, Indoor/Outdoor Banners, Canvas Prints-Fine Art, Imaged Glass, Ceiling Tiles, Magnetic Receptive Graphics, Table Graphics, Sign Lettering, Wall Lettering, Wall Graphics, Yard Signs, Site Signs, Vinyl Graphics, Car Decals, Car Magnets, Vehicle Lettering, Vehicle Wraps, Window Clings, Decals, Floor Decals & Graphics, Wall Decals & Wallpaper, Window Decals & Graphics, Safety Signs, Regulatory Signs, Wayfinding Signs, A-Frames, Sandwich Boards, Breeze Barriers, Menu Boards, Point Of Purchase Posters, Standees & Cutouts, Promotional Clothing, Business Cards, Direct Mail, Online Ordering, Social Media, Web Audience, Letterheads, Postcards, Brochures, Catalogues, Sales Collateral, Banners, Event & Display Counter Graphics, Pop-up Displays, Fabric Signs, Metal Signs, Murals, Magnetic Signs, Stickers, Trade Show Booths. 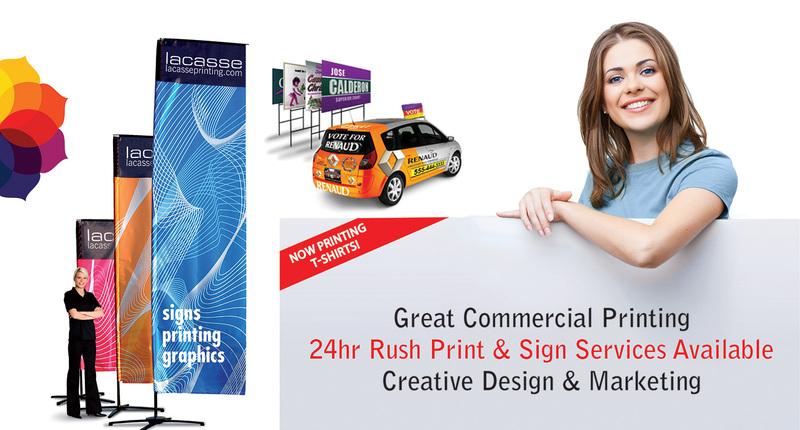 Advertising, Agriculture, Apartments, Architectural, Automotive, Banks/Credit Unions, Boats/Marinas, Business Services, Campaign and Political, Charitable Events/Fundraisers, Churches and Synagogues, Commercial and Residential Real Estate, Community Events, Concerts and Theatres, Construction, Conventions, Corporate Events, Entertainment, Fairs and Festivals, Grand Openings, Government, Hotel and Hospitality, Manufacturing, Media Communications, Oil and Gas Producers, Organizations, Parades, Personal Services, Placemaking, Presentations, Press Conference, Product Launch, Restaurants and Fast Food, Retail, Schools and Education, Special Occasions, Sporting Events, Trade Shows, Transportation, Utilities, Wholesale Distribution.